Envisioning a future unhindered by its rustbelt present for the Downriver region, Heinz Prechter believed that a second international bridge from Downriver Detroit to Canada would eliminate the long detour through the heart of the city. At the 2001 North American International Auto Show in Detroit, he remarked that he felt people had started to realize that a second bridge to Canada would relive the traffic snarls on the Ambassador Bridge and in the Detroit-Windsor Tunnel. Turning his visionary imagination on the Detroit Metropolitan Airport, Heinz Prechter foresaw that it could be developed into a powerhouse that would improve the overall Michigan economy. He believed that the entire region from the airport to Ann Arbor could be transformed into a profitable economic corridor linking a revitalized Downriver to Ann Arbor’s high technical industries. 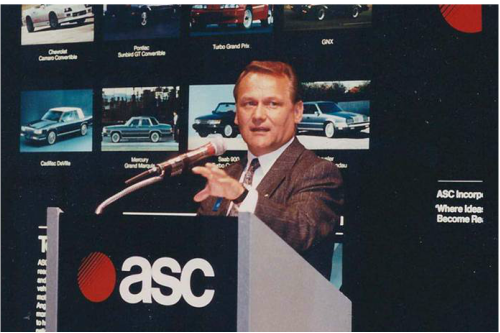 His entrepreneurial spirit merged seamlessly into the American dream and the American automobile industry, but Heinz Prechter did not become an official American until 1972, more than thirty years after his birth on January 19, 1942, in the small German farming town of Kleinhobing, located between Nuremberg and Munich. At first America must have seemed more frightening than friendly to young Hans Prechter, because one of his earliest childhood memories was hiding with his family behind the wooden door of his family’s farmhouse watching Allied planes filling the sky on their bombing runs and preparing for combat. After World War II ended in 1945, hard work and determination and the Salvation Army helped the Prechter family survive. Heinz began his working career at age 13 when, according to one of his biographies, he worked as an apprentice in automotive trim, tool, and die making, and coach and auto body building. He finished his studies at the Berufs-Oberschule in Nuremberg and went on to OHM Polytechnic Engineering School, also in Nuremberg. During his studies, Heinz acquired practical experience working for several German companies, including Faunwerke, a truck and military equipment supplier, Siemens, an electronics firm, and Deutz, a diesel engine manufacturer. In 1963, Heinz Prechter came to the United States as an exchange student to study Business Administration and English at San Francisco State College. Gaining more practical experience in addition to his studies, he began a sideline of installing sunroofs, then a virtually unknown accessory in American cars. Just fifteen months later in 1965, Heinz founded the American Sunroof Company which eventually grew to the American Sunroof Company Incorporated – in Los Angeles. He began his American Sunroof Company with a $764.00 tool budget, a workbench from an old door covered with aluminum and a sewing machine he salvaged from a junkyard. 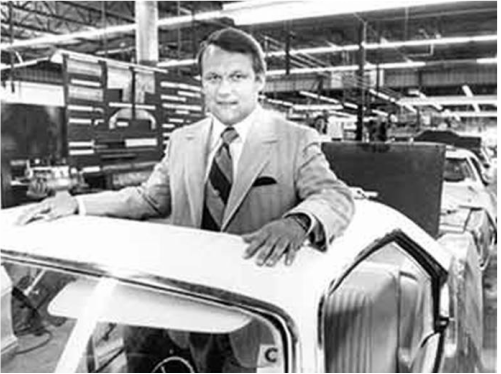 His one man company soon acquired a reputation for custom build sunroofs and an innovative approach to developing specialty vehicles for the film industry and such stars as Steve McQueen and Frank Sinatra. His friends said Heinz originally planned to only stay in the United States for one year, and a family story has it that he arrived in the United Sates with only 11 American dollars worth of German marks in his pocket. By 1967, Heinz had moved his growing company from California to Michigan, because he had won a contract from the Ford Motor Company to install sunroofs in Mercury Cougars. He wanted to be close to General Motors Corporation, Ford Motor Company, and Chrysler Corporation – the ‘Big Three” of American automobile manufacturing and a source of supply for workers and a market for sunroofs. He located one of his early garages in a former carwash located in the 100 block of Southfield Road in Ecorse. As Heinz Prechter opened new business Downriver, many people and businesses moved out. He told close friends that he felt that Detroit’s Downriver region stood at a crossroads. It could continue to improve or decline. Determined to demonstrate his vision for Downriver, Heinz expanded his company in Southgate and bought a home in Grosse Ile. Eventually people called him “Mr. Downriver,” for his unstinting support of the region. By 1970, American Sunroof Corporation had consolidated all of its Detroit facilities into one plant located at 13500 Reeck Road in Southgate, and by 1974 American Sunroof operated plants in Michigan, California, and Georgia with sales of seven million dollars. In 1977, Heinz Prechter returned to Germany to marry his sweetheart Waltraud- also known as “Wally.” Born in Alfershausen, Germany, Wally attended the University of Erlangen-Nuremberg for a short time before she married and immigrated to the United States with her husband Heinz. After settling in Michigan with her husband, Wally completed a bachelor’s degree in education with honors at the University of Michigan and she became an American citizen in 1984. The Prechter’s had two children, twins Stephanie and Paul, born in 1980. Heinz Prechter’s business life continued to boom as well as his personal and philanthropic life. By1978, American Sunroof had modified more than 1.6 million American vehicles and furnished over 300,000 sunroof modules to be installed in them. In 1993, American Sunroof Corporation began supplying sunroofs to Honda and in 1994, began building convertible tops for Toyota. Thinking outside of the automotive industry box, Heinz Prechter expanded his business ventures to buying a cattle ranch in Texas and a chain of Downriver newspapers. The cattle ranch introduced him to the Bush family resulting in friendships with two Presidents of the United States and made him a successful rancher. He also became a leading contributor to the Republican Party. After he purchased the former Mellus Newspapers that covered Downriver Detroit communities, Heinz Prechter stressed that he wanted to preserve the downriver character of the papers. Eventually the newspaper chain expanded into several southeastern Michigan counties, but according to newsroom staffs, Heinz never interfered with the editorial direction of the papers and the American Sunroof Corporation didn’t use them for publicity purposes. According to his obituary in the New York Times, Heinz Prechter’s philanthropies included contributions to the University of Michigan Depression Center and ranged from education to health care to the arts. He also supported local causes in Detroit and helped elevate the regional Detroit Auto Show into the North American International Auto Show. In 1988, he contributed funds to try to save the London Chop House, a famous Detroit restaurant which finally closed in 1991. Perhaps because he had witnessed history first hand as a toddler hiding with his family while Allied planes performed their bombing runs in the skies above his German farmhouse, Heinz Prechter firmly planted his feet and inventive imagination in history, especially automotive history. According to George Moroz, a director at the Henry Ford Museum & Greenfield Village and his friend, Heinz realized the importance of people understanding and appreciating their history, and he became an active and influential board member on the Henry Ford Museum. George Moroz especially remembered a speech that Heinz Prechter made at a ceremony to swear in new United States citizens held at Greenfield village. At the start of the ceremonies, Heinz spoke to the new citizens, pointing out the possibilities and potential that they had for being Americans. He told them that America had given him the opportunity for success and they needed to take their advantages and, in turn, contribute back to their community. “That was the kind of life he led,” George Moroz concluded in a tribute to his friend. George Moroz and many of his other friends including former President George Herbert Walker Bush and President George W. Bush, found it necessary to write heartbroken tributes honoring their friend Heinz Prechter because on July 6, 2001, Waltraud Prechter found the body of her 59 year old husband Heinz inside the pool house on their estate on Grosse Ile. Grosse Ile Police Chief William Barron said that Heinz Prechter had used the power cord from a vacuum cleaner to hang himself in the stairwell of the pool house. His death had been officially ruled a suicide because the pool house doors were open and there were no signs of intruders. For years, a few close friends and his family accompanied Heinz Prechter as he sometimes strolled and other times stumbled through the hills and valleys of his lifelong bouts of clinical depression. He fought to keep his public face animated and vital and for the most part was successful, but the jagged rocks of sadness and concern sometimes broke through his defenses. He and his family knew that public opinion surveys revealed that many people consider depression a sign of personal weakness. Such people do not understand that no matter how bright, accomplished, dotted with presidents and loving family and friends in the exterior landscape of a life, clinical depression blankets a person’s interior landscape with a fog of bleak, painful and often impenetrable thickness. David Treadwell who became chairman of Prechter Holdings after his death, revealed that Heinz Prechter had suffered from depression for thirty years. The Detroit News reported that Heinz had suffered “a prolonged and uncharacteristic case of the blahs” since he suffered an injury the year before on a fishing trip to Alaska. Word of Heinz Prechter’s death spread through Downriver, across the state of Michigan, the United States, and internationally. People from around the country and the world sent condolences to the Prechter family, including former President George H. Bush, President George W. Bush and even Michigan Democrats including Representative John Dingle. His death impacted people from his homeland of Germany, because of his personal relationships and because he had recently been working to buoy the German economy and establish business relationships particularly in the former Communist East Germany. Alexander Lambsdorff, the press attaché for the German Embassy in Washington D.C. said that the German government was extremely saddened by his death. Downriver people gathered to honor Heinz Prechter. A long line of friends, business colleagues, employees, and admirers paid their respects the day before his funeral. His private funeral at the Grosse Ile Presbyterian Church was broadcast by satellite to crowds of employees and other mourners in a nearby hall. He is buried at Michigan Memorial Park in Flat Rock, Michigan. In 2002, Wally Prechter spearheaded an inaugural dinner for the Heinz Prechter Bipolar Research Fund which raised 1.25 million dollars, at the time the largest single fundraising event for bipolar disorder in American history. In 2004, the Prechter Bipolar Research Fund was transferred to the University of Michigan Medical System and operates as part of the UM Depression Center. Since the fund’s beginning, Wally Prechter has donated and helped to raise more than eleven million dollars in donations and federal grants for research, which in turn has leveraged more than ten million dollars more in donations and federal grants for related research. That same year she also testified before Congress advocating increased federal funding for bipolar disorder research. 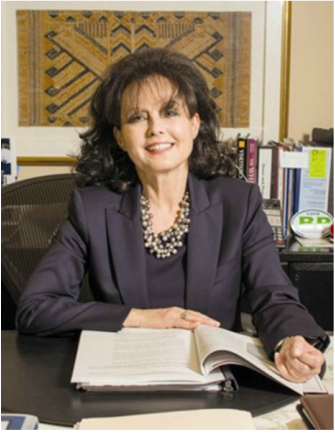 President George W. Bush appointed her to the President’s New Freedom Commission on Mental health to help improve the U.S. mental health care system. Wally Prechter, who once saw herself as a quiet and introverted person, faced her husband’s suicide, and used her own pain to become an advocate for others afflicted with bipolar depression and other mental illnesses, others who include her daughter, Stephanie. http://www.prechterfund.org/ ; Hour Detroit, October 2, 2008. No Secrets For years, bipolar disorder was stigmatized. But Wally Prechter, who lost her husband to it, is shedding light on the illness. Scott Martelle.http://www.crainsdetroit.com/article/20140601/FEATURE04/306019967/waltraud-wally-prechter Crain’s Detroit Business. Waltraud “Wally” Prechter. http://www.prechterfund.org/ ; Hour Detroit, October 2, 2008. No Secrets For years, bipolar disorder was stigmatized. But Wally Prechter, who lost her husband to it, is shedding light on the illness. Scott Martelle.